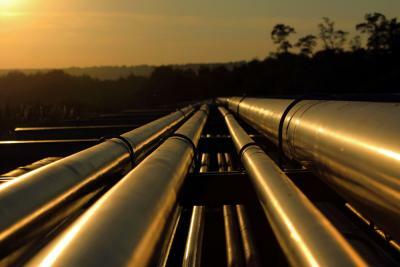 We have been keeping you up to date on the status of Dakota Access, LLC's petition to obtain a permit from the Iowa Utilities Board (IUB) to construct a crude oil pipeline across Iowa. Dakota Access, a private Texas company, filed its permit application on January 20, 2015. Since that time, the company’s land agents have negotiated voluntary easement agreements with owners of approximately two-thirds of the tracts along the route of the proposed pipeline. Additionally, opponents have filed thousands of objections, supporters have filed thousands of letters in support, landowners and environmental groups have intervened, and the IUB has issued its final scheduling order. Decision day in this controversial saga is fast approaching. Sometime after a multi-day hearing scheduled to begin in November, the IUB will determine whether Dakota Access has shown that the proposed pipeline would "promote the public convenience and necessity.” If the IUB decides that Dakota Access has made such a showing, the IUB will grant the permit and then determine the extent to which to grant Dakota Access eminent domain authority over the parcels for which it has not already acquired voluntary easements. This article provides an overview of the updated status of this project. November 12: IUB will commence with public comments and preliminary matters. November 23-24: Evidentiary hearing (November 25 may also be used for hearing if necessary). November 30-December 2: Evidentiary hearing. All proceedings will take place at the Boone County Fairgrounds Community Building at 1601 Industrial Park Road, Boone, Iowa. Boone County is the mid-point of the proposed pipeline. The IUB will offer a live video stream of the proceedings, and the public is welcome to attend. Impacted landowners have two options if they wish to participate in the hearing. They may attend the public comments portion of the hearing on November 12, line up, and speak for two to three minutes at an open microphone. Any comments made on November 12 will become part of the record, but they will not become part of the evidence. Impacted landowners have also had the option to intervene in the lawsuit. Although the IUB has been generous in allowing interventions after the initial July 27 deadline, time may have run out. If anyone wishes to intervene, he or she must attempt to do so immediately by following the IUB instructions posted on the electronic filing system. Persons interested in reviewing testimony, discovery requests and IUB rulings may access this information on the IUB docket. All documents are available for download free of charge. Intervenors have filed several significant motions in the last month. On September 14, 2015, the Sierra Club filed a “Motion to Require Environmental Impact Report.” The group argued that the IUB should order the completion of a comprehensive environmental impact report before issuing its ruling on the permit application. Specifically, the motion stated that although the Iowa Department of Natural Resources and the U.S. Corps of Army Engineers will review those portions of the project falling within their jurisdiction, no governmental agency will be conducting a comprehensive environmental review of the impact of the proposed project. These potential impacts, the motion argued, include the proposed pipeline’s impact on Bird Conservation areas, critical habitat areas, and other environmentally sensitive areas. On October 5, 2015, the IUB denied the motion. The IUB stated that no law requires the filing of an environmental impact report and that the IUB would assess the environmental impact of the project through standard procedures, including pre-filed testimony, a hearing with cross-examination, and briefing. The IUB agreed that it is required to consider the environmental impact of the proposed pipeline under Iowa Code § 479B.1. Dakota Access has stated in filed testimony that it will be utilizing a Nationwide Permit 12 under the Clean Water Act, working with the Iowa Department of Natural Resources and the U.S. Army Corps of Engineers as necessary, and addressing Endangered Species Act issues. Another pending issue is a jurisdictional question stemming primarily from the fact that Dakota Access is a private entity seeking to condemn agricultural land. On July 27, three landowners filed a lawsuit against the IUB in Cherokee County, arguing that Iowa Code §6A.21 deprives the IUB of authority to grant Dakota Access eminent domain rights over agricultural land. On October 20, the district court dismissed the action, finding that the landowners had failed to exhaust their administrative remedies. On October 9, the landowners filed a “motion for clarification concerning ‘public utility’ determination” with the IUB, raising the basic jurisdictional issue raised in the Cherokee County case. The Sierra Club joined in that motion on October 13. Specifically, the motion argues that Iowa law does not grant IUB the authority to give eminent domain power to Dakota Access, a private entity. The parties specifically allege that such powers can be given only to “public utilities” or “utilities.” The parties argue that while Dakota Access has not pled its status as a utility, Dakota Access did argue before the Cherokee District Court that it should be considered a "utility." Consequently, the parties filing the motion seek clarification as to whether the IUB will be considering whether Dakota Access is a “public utility” or a “utility.” They argue that if the “utility” issue is to be considered, due process requires additional time to allow Dakota Access to amend its petition to properly plead its status and to allow the other parties to properly respond. "Public use" does not include the authority to condemn agricultural land for private development purposes unless the owner of the agricultural land consents to the condemnation. Utilities, persons, companies, or corporations under the jurisdiction of the Iowa Utilities Board or to any other utility conferred the right by statute to condemn private property or to otherwise exercise the power of eminent domain. It would thus seem that the question before the IUB will be whether Dakota Access is a company “under the jurisdiction of the Iowa Utilities Board.” If it is, it would seem that the public use limitation set forth by § 6A.21(1)(c) would not apply. As discussed in other articles, the primary question for the IUB in determining whether to grant Dakota Access the permit is whether the project will “promote the public convenience and necessity” as required by Iowa Code § 479B.9. “A pipeline company granted a pipeline permit shall be vested with the right of eminent domain, to the extent necessary and as prescribed and approved by the [IUB]…” Iowa Code § 479B.16. We have little Iowa case law unpacking the meaning of the phrase “promote the public convenience and necessity,” particularly in the context of a crude oil pipeline. This project could serve to create new Iowa law both with respect to the meaning of the phrase "public convenience and necessity" and with respect to the IUB's right to grant eminent domain authority to a private company. We will be watching this hearing closely. As always, we will keep you posted.